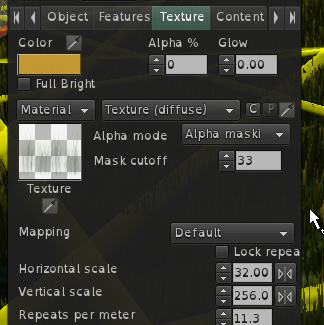 The number of texture repeats maxes out at 100, Attempting to edit this in a object that has >100 set caps the value to 100 and breaks the object. See Sculpty grass as use case. this should go up to 256 or 999 or ... 9999 ... 999999999 .... 9999999999999912 ?